TRANSLATION AFFILIATE PROGRAM - START EARNING NOW! In a globalized world, translation services are in high demand. Everyone needs translation. So why not offering it to your audience and make a great income from simply doing so? Effective affiliate programs are hard to come by. Some are unreliable, some just don’t pay. With us, you’re making 17% of what your client spends, for life! 17% recurring, no one can beat that! Sick of complicated affiliate programs? We are too. That is why we made everything simple, but effective! You can start promoting our translation services in minutes. Give it a try! Got questions? We have the right answers! Contact us at any time, day or night, we are open 24 hours a day, 7 days a week to help you with anything you need. 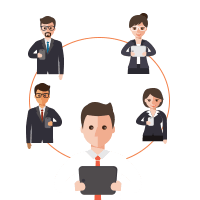 Use the following form where you have the option to have us call you or set up a meeting via Skype, or even an online meeting with our affiliate manager. We will get back to you soon by email in order to set up the meeting at the time and date of your choosing. You must be wondering what good can come out of a translation service when you have nothing to get translated. Well, actually you can gain a lot by getting associated with UTS. Our affiliated members get to enjoy exclusive benefits, particularly if they are in the documentation business. Still clueless? Let us explain how beneficial this program can be for you just by becoming an affiliate of Universal Translation Services. You know how your internet service provider refers you to a certain technician, well, it’s not always your problem that they care for, most of the times it’s the commission. We are offering you the same opportunity to make money by just making a referral to UTS. 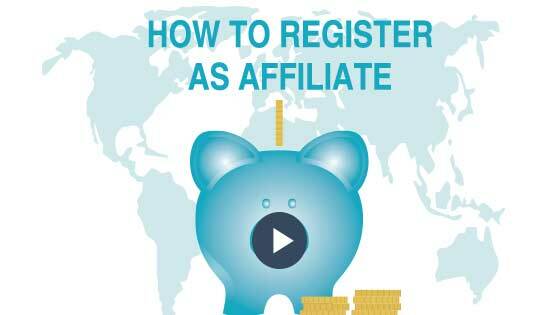 Please watch the video above which will explain how to register as an affiliate with us and how to use the affiliate platform. Registration is simple, all you need to do is to fill all the fields and click the Sign Up button. Once inside, you’ll have several options to choose from. The first page will show you your referral code which you need to provide to your face to face customers. If you want to add your unique affiliate link to your website, navigate to the Ads tab where you will find a suite of banners you can use along with your affiliate link. Detailed stats are also available so you could see at any time how many of your clients have visited our website along with how many bought our services and how much you earned. Another tab will show you the payment history where you’ll be able to see the history of payments sent to you. You can also change your personal details in another tab along with your password if needed. Start making money with our affiliate/referral program for translation services! 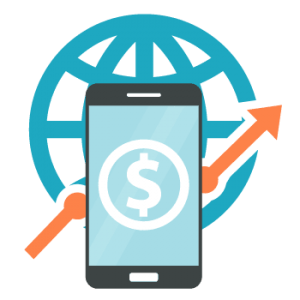 Believe it or not, but our translation affiliate program is an excellent opportunity to earn money for every person who owns a website. If you are a tech savvy and an expert in digital marketing, here’s your chance to earn a referral income by UTS and an additional 17% profit on every sale that originates from your website, blog, Facebook page, online magazine or any other social platform that you own. In order to become our affiliate, you need to follow some simple steps. Just place a link to UTS on your website. The link could be a banner, an ad or a text which will direct the viewers to our website, Universal Translation services. Every time a viewer clicks on that link and use our translation services for certified translations, document translations, or any other translation service that we provide, you’ll earn a commission from that sale. You don’t have to worry about choosing the right strategy to market our services. We offer our banners in different sizes and links with a special code that allows you to use them as our affiliate. We take pride in our translation services and particularly the diversity that we offer in multiple languages, so even if you are running a website in a language other than English, we can provide you banners in your desired language upon request. Did you hear about our translation affiliate program and thought to yourself, “I don’t really need the money”? If you are an established business and our commissions are a penny to your financial ecosystem, you still have enough reasons to join. We are here to explain why our Affiliate Program is great for you as well as for your clients. Why should you join our translation affiliate program? 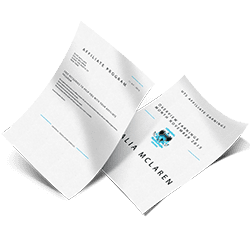 If your client comes to you with a shabby translation that is so dubious, you can’t clear it, let alone the visa processing system; you will wish you had sent them to someone reliable yourself. We are the reliable ones that hire only professional translators in our agency. All the travel clients have a tendency to ask their handlers, where to get the translation and following their advice. This is because the clients do not know anyone themselves and need to know who are the best translators in the business! Translations for travel documents are very important and a tricky business. You need the translation done in a very accurate manner, following the narrow guidelines set by the destination country. We will give you documents that will get your clients through the immigration system or travel visa protocol without any hitch or problems. You can try us and see for yourself. Joining our translation affiliate program will free you from the hassle of looking up a good translation agency every time you or your clients have translation needs, while making money in the process. How do I keep track of my sales and referrals? Well, we know that this question was tingling on the tip of your tongue. The answer is here. We believe that transparency is the key element in all kinds of dealing and which is why we have developed a system of real-time statistics for all click-throughs and sales. 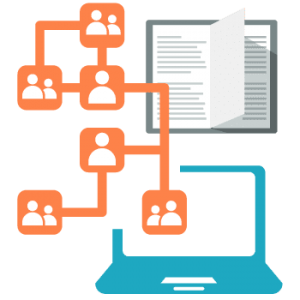 Through our impeccable and reliable tracking software, our technical team keeps track of all your customer and referral activity. We deeply value you as our affiliate and we keep you in the loop so that you can ensure that you’re getting what you have been committed and what you truly deserve. Whenever a visitor clicks through to our site, a cookie identifies it as your customer. That cookie lasts for 30 days. If the visitor doesn’t make a purchase on the first visit but returns and places an order within 30 days, we’ll provide you with the committed share of our sale. This is indeed a golden chance for social media enthusiasts and if you are one, you can send clients over to us through social media and can keep track of the activities such as sales, clicks, and referrals. You’ll just have to register with us and we’ll walk you through the details on how you can use our links, banners and other available options, simple and easy! Well suspicions embrace us every time we hear about an online opportunity, but not this time. There is nothing to worry about. Our affiliate program is free, free of cost and free of risk, it’s just a simple and easy way to earn a decent extra earning just by sharing some information, whether by site, social networking or just by spreading it across. Join us today, first go through our agreement; you’ll find a link to our online registration form at the bottom of the agreement. Simply click on it and follow the instructions on the form. Signing up with us will merely take 5 minutes. And that’s it, you’ll be a member. 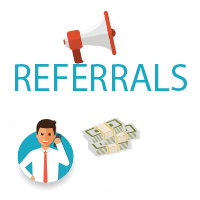 Not just that we provide special affiliate or referral codes to our affiliates who have no websites, but can send us clients through word of mouth. The codes will secure your earning. And even after that, just to be on the safe side, we have the option for you to manually add your name in the affiliate program. For further details, you can always drop a question at our 24/7 customer support, or you can have a live chat with our affiliate manager on our website. You can even track your earnings. Let’s be honest, who doesn’t need money in today’s world? Even if you have a job, it’s not enough to take care of all of your expenses. Earning a little extra can be extremely helpful if you have a family to support. Even if you are single, the inflation rates will make sure you are always in need of more money than you make. Finding the right opportunity to earn extra cash is hard these days. When you do find such an opportunity, there is no way to know for sure if it is legit or scam. We have come up with a solution in the form of our translation affiliate program. We give you the chance to earn money without having to do much. You just have to join our affiliate program, and you will see how easy it is to get that extra cash. In fact, with our translation affiliate program, you will not only be helping yourself but also others. When you recommend our exceptional services to someone, you will be doing them a favor, and in return, you will get the commission. Isn’t it great? So what do you say? Are you in? If yes then sign up today. I got within 2 months an income of 5000 usd which is ongoing! This is a totally different way of working as an affiliate! This program is the perfect fit for out language-related website. If the traffic is right you won't have to wait much to see sales.